If you guessed the url then you'd be right. It's getting tricky now. 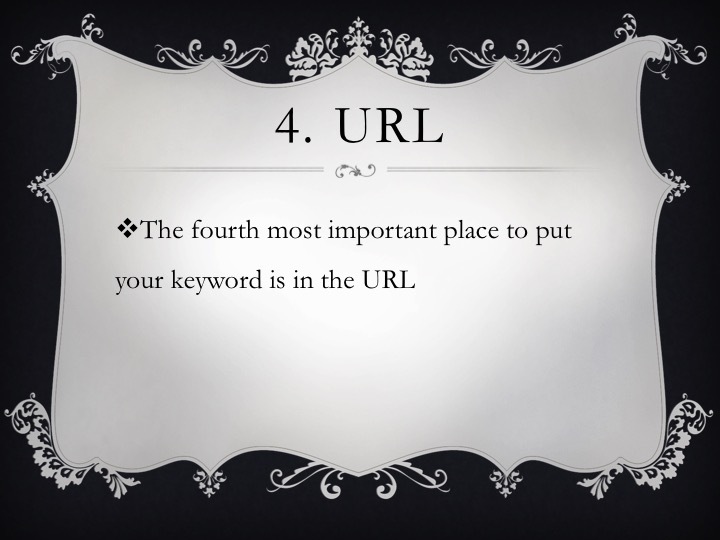 What do you think is the 5th most important on page SEO factor?